First, there was the website hurdle. And now, even though I run into artists all the time who either don’t have a website, or have a single page they haven’t updated in a couple of years, everyone understands websites are the norm. “Home” isn’t a metaphor anymore. Then blogs hit the Internet pay dirt. And as with websites, blog chaos reigned for a while: what were you suppose to write? Who was your audience: other artists or your hoped-for collectors? Were blogs worth the time and effort? How could you monetize them? Should you monetize them? (and here our linear sense of a timeline starts to fall apart, as it’s wont to do in our online universe) trod Social Media with Facebook and Linked In dominating. The questions that rose up regarding these time vampires looked strikingly similar to what we’d asked about websites, newsletters, and blogs. After Twitter squirmed it’s way in – same questions in tow – there was a brief lull, as we all tried to catch up (and catch our breath). And now we have Pinterest, same questions shaking their fingers in our faces. Same sense of time spent away from making art, with the same overarching question dodging in and out of the shadows: is it worth it? Does it really help us build a following, sell our art, be better artists? Alongside this, mobile devices began re-inventing website design and “tags” weren’t just for fruit at the supermarket anymore. Yet, I’ve always had this feeling that technology, online and off, has not hit its stride with regard to the art world. I can feel the inchoate forming of a technology embryo. It haunts me, actually. I keep rubbing my eyes, convinced it’s there, if I could just focus on it’s ghost-like vapors long enough to see it. I watch iTunes and Pandora bring music to the masses and long for a **visual art venue that would do the same. For even with the ever-growing, online awareness that the art world is ripe for the picking (more “help artists gurus” than ever; more sites focused on the visual artist than ever… and yet… ), I can almost taste, see, here, and touch something that has yet to be born that will raise our collective consciousness in a way, as yet, unimaginable. I have this madcap idea that if I put together a think tank of MIT grad students we would come up with it. What I have, of course, is this amazing group of bright artists to drop in their visionary imaginings. So, tell me, in the year 2053, what will artists have through technology that they don’t have now? Paint me a picture of your most longed for imaginings and let’s find a way to collapse time and do it now! **visual art venue: There is a new Pandora-like attempt brewing for the visual art world. Some of you may have already heard about it. There’s also a clever use of television for visual artists–both of which I’ll explore in the next posts in this series, Brave New Art World. Meanwhile, there are some secret twists to the old technology of mixing colors and I have just the artist who can teach this, Carol McIntyre. 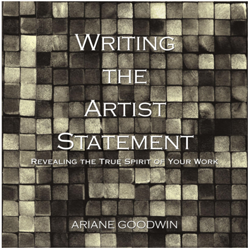 Written by Ariane Goodwin, Ed.D. Not much -ha. Really though. I think a lot of art is a tactile thing (aside from the written word of course) ….a sensuous experience. I’m sure technology will have lots to say in terms of the way in which we can create, our ever-reaching audience etc., but the experience itself will have to be solidified with the observer – and I don’t see technology, as ‘real-like’ as it will get, able to accommodate that. Nope, technology may in fact be its nemesis! Which isn’t a bad thing in my books. Isn’t all of our experience “ours,” solidified or not, no matter what the venue? Yes, sorry …’solidified’ is kinda flakey but I meant to imply experienced in the real world. Something technology will never (try as it might though) reproduce. I hope that is! But then, maybe I’m just old-fashioned. By the year 2053, artists may be obsolete. We have so much software like CS6 and Corel Painter and other programs. They mostly continue to require skill. In forty-one years, if the trend continues, and we survive, anyone will be able to make amazing art to such a degree that it will be commonplace and will not make much money. Oh, Mark, this reminds me how everyone thought Kindle would make physical books obsolete. Not going to happen. Humans are hard wired for physicality no matter how sophisticated the technology gets. 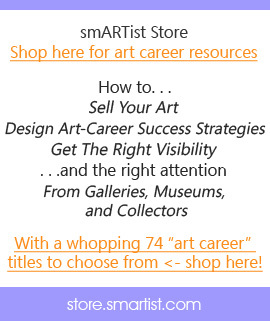 Also, this assumes everyone is interested in making art… can’t see that happening either. Art skills won’t replace the source of art arising: our souls. Technology is a tool that functions to the degree we give it meaning and functionality, not the other way around. My first thought about this is that art will have to wait it out, at some point people will become disillusioned with pseudo art that’s mass produced and has noting to say. Like organic farming…people needed to slowly embrace the idea that food is not meant to be laced with poison. That’s food mass marketing. Now folks are spending more in order to get the real thing. My hope is that there will be a similar resurgence in art, back to a reverence for skilled creative work. Like the organic gardeners weeding the fields by hand, artists are honing their skills, producing great works. Unfortunately, the organic movement grew due in part to a fear based idea. It would be a hard sell to tell people that schlock art is bad for them. On the other hand, the organic movement has gained momentum because people can see, feel, and taste the difference. So maybe we need to use technology to get people out to see “real” artwork. Or…and I am thinking aloud here, find a way to make the art experience so real on line that people “get it”. Perhaps it’s simply a matter of showing ourselves as much and as publicly as possible while selling the benefits of art. Let’s start an art heals movement, or an art as solace for the soul movement. In other words, art needs to be seen as more than decorative. I’ve often thought that I should keep track of what collectors say about what the art means to them, how it affects them etc. The comments are never about pretty pictures or decoration for the home, it’s always much more profound. WHAT? You haven’t been collecting those collector comments??? Just imagine how cool those would have been during this last smARTist Telesummit 2012! I had to contemplate this long and hard – 40 years is a long time and with the way technology is progressing it takes a sci-fi visionary (of which I am not one) to come up with the really good answers. When I first read this, the first thing that came to mind was the book :”Naked Sun” written by Isaac Asimov (a sci-fi visionary) where he describes a future artist and murder suspect Gladia who sculpts with pure light. – That concept was simply amazing to think about. We will be seeing amazing new art forms that we have yet to dream about I’m sure. They currently have printers that can create objects in 3D (can you imagine the possibilities) – of course all of that goes toward the digital realm along with current 2d and the amazing video the can do. I think it will just get better and better. Digital art is not a lesser medium, simply a different medium and it uses the same skills as other 2d art. I think we will see a continued growth toward the legitimacy of computer generated art. This medium makes reproductions a snap – and in return, the older mediums will find a boost in pricing. An example, my first job out of graphic design school was as a sign designer we had a gentleman who was in his 80’s who could do wonders with his enamel sign painting skills, I could stand for hours and watch in wonder as he hand lettered a sign. – however it was cheaper and quicker to use the vinyl cutter to create the letters. After he passed away, they no longer offered hand lettered signs (mostly because they couldn’t find anyone to replace him) – hand sign lettering is quickly becoming a lost art and those who have the skills can command a premium price for their hand lettering. Having said that, I don’t believe that fine arts will go down that road – there will always be a demand and those who maintain/develop the skills and create great art will be able to command higher prices for originals. But they will also have the optional market of prints – also a price booster. Until they can make a technology that purely mimics the tactile feel, smell and luminosity of paint – especially oil paint – there will always be a demand. On the ultimate positive note. I am thinking that with the current trends with social media and various future internet sites access to the general public to your art will become easier and easier. You will be able to track down your niche market and connect with your collectors on many levels.